Air quality is an issue for many homeowners for a number of reasons. While normally things like dust and pet dander would be nothing more than a mild annoyance, they can become real issues in homes where family members suffer from allergies or asthma, or when the home has little or no air circulation. If you live in the Hagerstown, MD area and indoor air quality is an issue in your home, call the experts of Larry & Sons today to learn more about our comprehensive air quality testing and installation services. We can help you choose a system that will provide the necessary protection for your family members against common allergens. 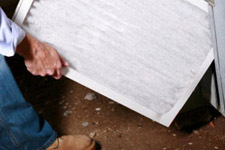 There are several possible allergens that can build up in your home’s indoor air. The most common of these are pet dander, pollen, dust, and other household debris. They generally only mildly irritate people with allergies, but if there is little or no ventilation, irritation may increase. If you have air quality issues in your home, the first step is to have it tested. We can visit your home and inspect it, then recommend exactly how best to respond. Depending on our findings, it may be recommended that your filtration system is upgraded or an air cleaner is installed. Another option to consider is installation of an electronic air cleaner. These systems can ionize the air and remove smaller particles like exhaust and smoke. UV light systems will keep germs like bacteria and viruses and humidity control systems will actively manage humidity levels in your home, so it does not get too damp or too dry. 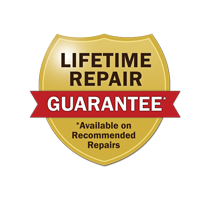 We offer installation and replacement services for all major types of indoor air quality system in Hagerstown, MD, and can provide ongoing repair and maintenance services for those homes that require it. If you are interested in having a new indoor air quality system installed in your Hagerstown, MD home and would like to discuss it further with a member of the Larry & Sons team, call us now.